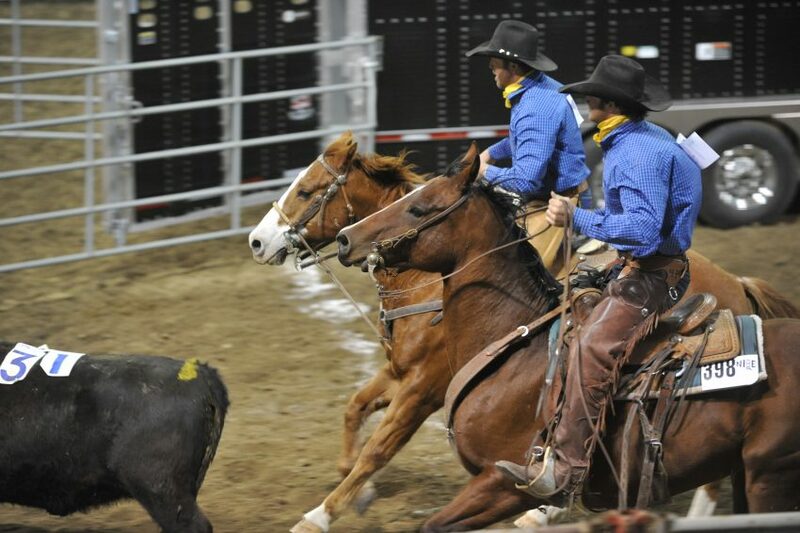 This is my public service announcement to those in the non-cowboy community: All chaps are “hinder”less. If they have a hinder in them, they’re just leather pants. Chaps=thumbs up. Leather pants=thumbs down. Also, they’re pronounced SHaps. So now that we have that out of the way, there are several types of chaps and other leggings, or “leggins”, that we’ll be talking about today. I consider leggings an all-encompassing word for chinks, chaps, or armitas. Some consider leggings to be a particular type of, well, leggings. It depends on what part of the country you’re cowboying in or by whom you’re influenced. Ben Hanson is wearing a standard midwest cowboy shotgun chap with fringe. 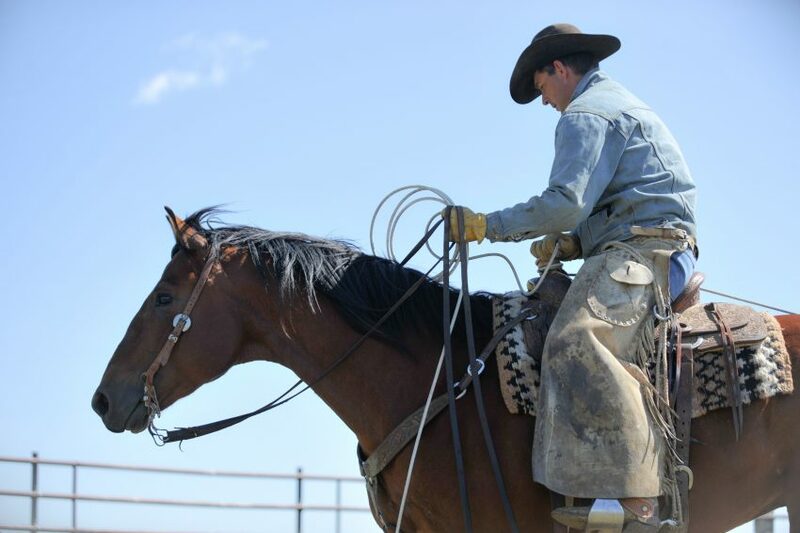 Clay Ashurst wears Arizona Bells common to the southwest region of the states, where brush is a bit more cumbersome than is found here in Wyoming. These are often seem with a big front crease and can be with or without fringe and pockets. He stays true to his Arizona cowboy roots. WOOLIES – Woolies can be made of many hides and materials, from white or black angora to bison, or even exotics like beaver, alpaca, or others. The style of a woolie is generally a full-length chap, though I have seen them in a shorter chink version. They’re often busted out in cold temps through northern states. There are a lot of woolies seen in this photo. They can be both a chap or chink and made of all sorts of critters, including bison, alpaca, Scottish Highlander, and even beaver, like our neighbor Boe Kottwitz. ARMITAS – Armitas generated in the Great Basin region, specific to buckaroos. They are noted for their belt and fringe top with a buckle usually found in the back. They are often step-in chink length leggings, with a squared-off, fringed bottom. There are often varying bottoms between chinks and armitas. Some try to combine the words into a silly word combinations like chinkitas, or some silly thing, but no matter the bottom or length, I would say armitas always have the belt/fringe top, and chinks always have a buckled or tied front, which we’ll talk about. Wade wears a pair of armitas he built himself, with a belt and fringe at the top and fringe on the bottom, falling to about mid-shin. 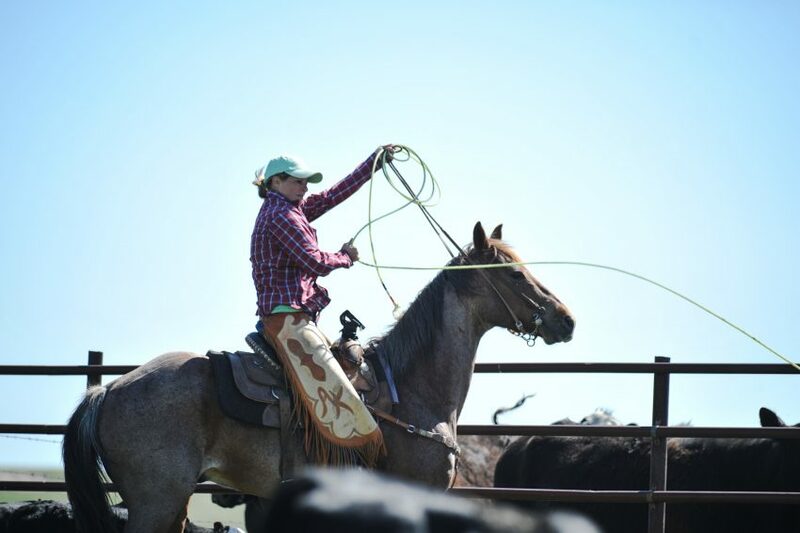 CHINKS – Chinks are a pretty common choice for a lot of cowboys and cowgirls. The are signified by a buckle found in the front and sometimes the back too, offering adjustability, and they hit mid-shin in length. There are many ways to customize chinks, including colors, carving and stamping, silver, and shape. They typically are seen with fringe. Chink-length leggings without fringe are common among farriers. Anne Wasserburger sports chinks that are a fairly commonly-seen type of leggings in all regions. Hers are customized with her maiden-name initials. 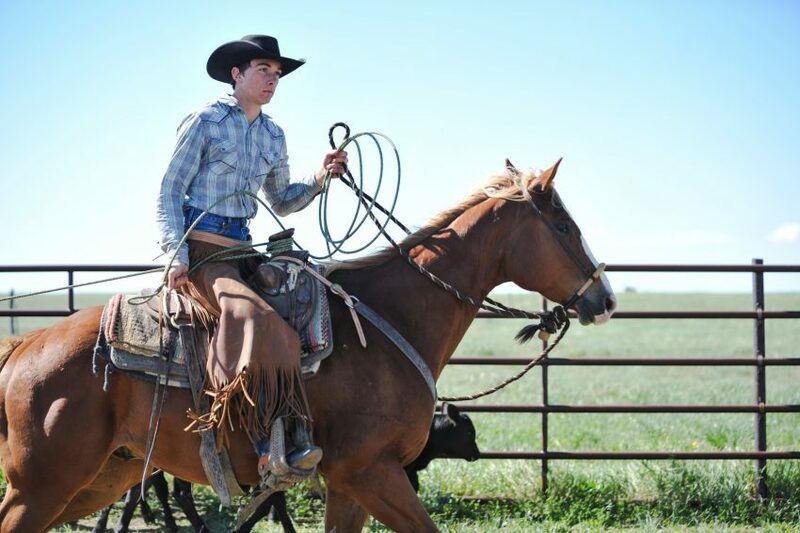 Half-Chaps – While many of you won’t probably sport half-chaps—typically pronounced with the hard “CH” sound, unlike regular chaps (shaps)— I wanted to share them with you nonetheless. 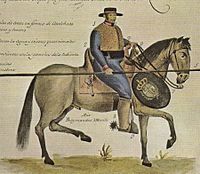 They are common in English disciplines and among charros and Mexican Cowboys as seen below. 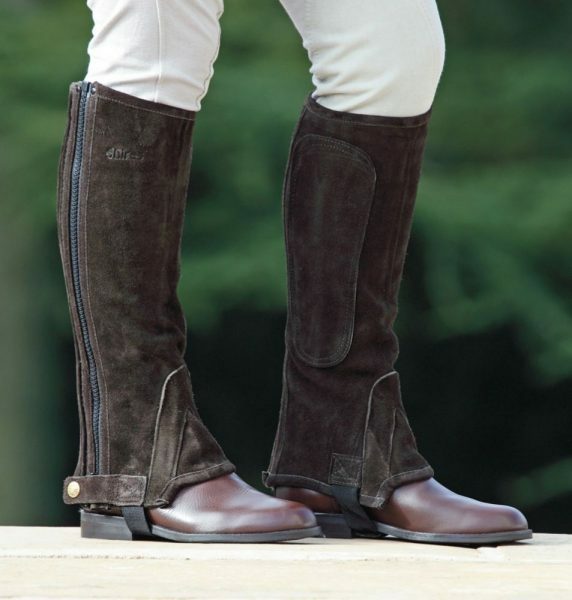 English folks tend to wear half-chaps over a short paddock boot. 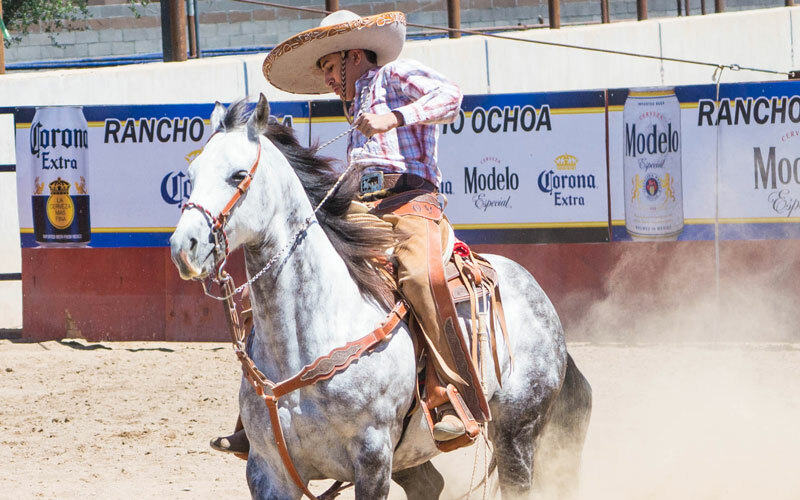 Mexican charros tend to also wear a half-chap. Charros also have a specific style of full-length chaps that are generally a suede leather with panels of smooth leather and no fringe. 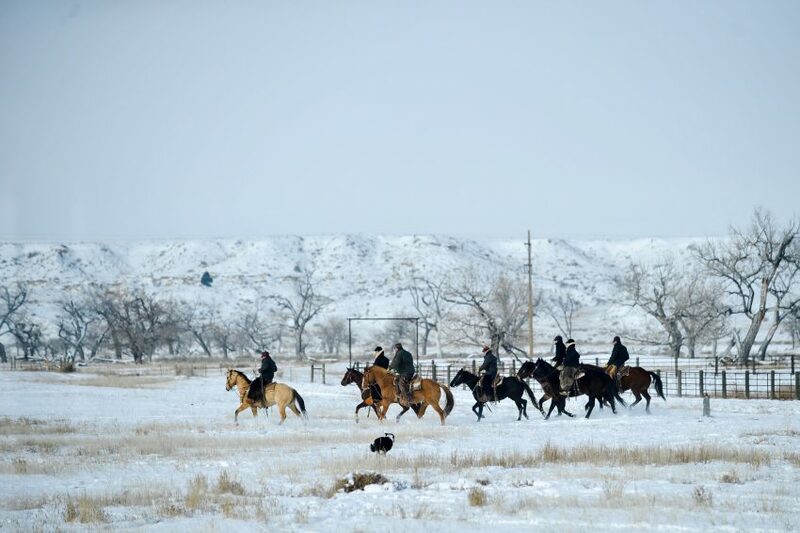 Our cowboy neighbors to the south also wear a full-chap that typically doesn’t have fringe.